UHY Haines Norton’s Business Valuations specialist Kerry Tizard explains what a Selling Memorandum is and why it is important to the business sales process. What Is A Selling Memorandum? A Selling Memorandum contains vital business information and documentation along with details of the unique features of your business. A Selling Memorandum contains all relevant business information and is provided to potential successors and prospective buyers during preliminary discussions relating to succession of the business. 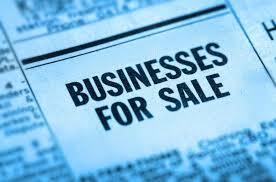 A Selling Memorandum will assist prospective buyers in making an informed decision about the purchase of your business. Therefore, it is essential that prospective buyers are provided with the most accurate and up-to-date information relating to your business. A Confidentiality Agreement should also be prepared, and signed by prospective buyers and possible successors, before handing over the Selling Memorandum to them. Why Is A Selling Memorandum Important? If buyers have a high degree of confidence in the accuracy of the information provided to them, this will be reflected not only in the sale price but in the entire sale process. It is a simple tool used to demonstrate the uniqueness of your business. It contains relevant sale information which will assist in sale discussions. It will increase your opportunities for sale. What Is Included In A Selling Memorandum? One of the key inclusions in your Selling Memorandum is your unique selling points. Your unique selling points are the features that distinguish your business from your competitors. You must only include true and accurate information. Provide a copy of your Selling Memorandum to your professional advisors to confirm its accuracy. UHY Haines Norton Director Kerry Tizard develops valuations for all types of businesses and works with clients to help optimise their business profitability. 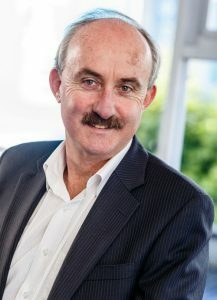 For all enquiries regarding Business Valuations, contact Kerry on (09) 839-0300 or email kerryt@uhyhn.co.nz.